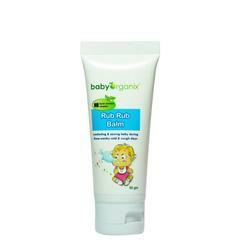 BabyOrganix Rub Rub Balm is your best companion for a magically soothing touch during those cough and cold days. Gentle massage the chest rub on the chest, neck and back to soothe and comfort your little ones. Our therapeutic blends which is comphor free works to enchance your body's healing power naturally.